..... of the silvery moon. 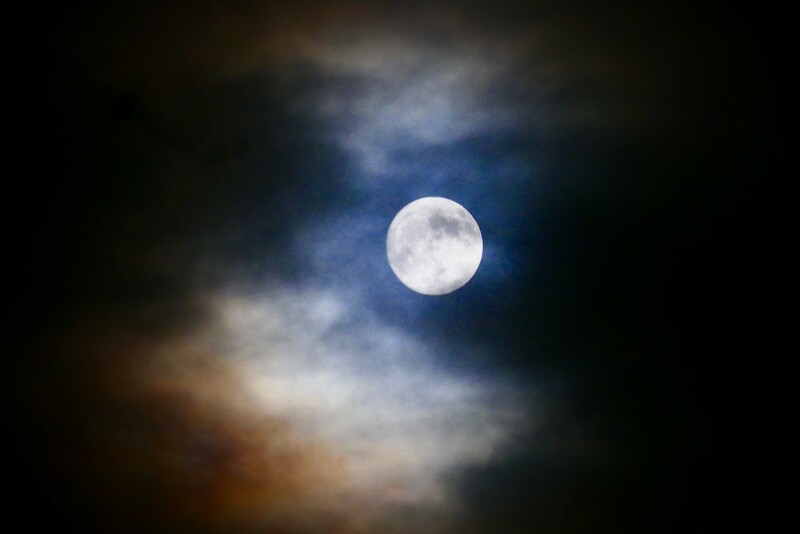 There were lots of clouds scudding across the moon tonight. Not that happy with this shot, but it’s all I have for today. Lovely shot nd I m singing along !! Interesting colours, well caught Carole. stunning capture, love everything about this one! I can almost here the wolves howling at the moon. I love it when you get rainbows round the moon in the clouds like this. I think it's lovely Carole, especially the colours from brown through the blue. Fav from me! I was going to go out and take a shot of our cloudy moon too- but just didn't have enough steam. I like the colors picked up by your camera.